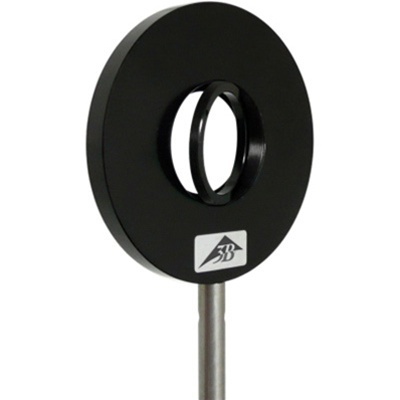 Holder on steel rod for supporting an optical component of circular shape. 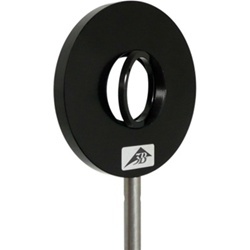 The component is held in place by a metal ring. Components: 7 mm x 42 mm dia. max.